How to make your bathroom light and bright this summer. Summer is all about opening up your home after a long winter and allowing as much light and fresh air in as possible. Of course, we’re not just talking about throwing open the patio doors and a few bedroom windows. No, there are also countless ways to make your bathroom brighter and lighter – which will aid in the pure relaxation and comfort this season. For a little bit of inspiration this summer, we’ve gathered five design features for a brighter luxury bathroom – let there be light! 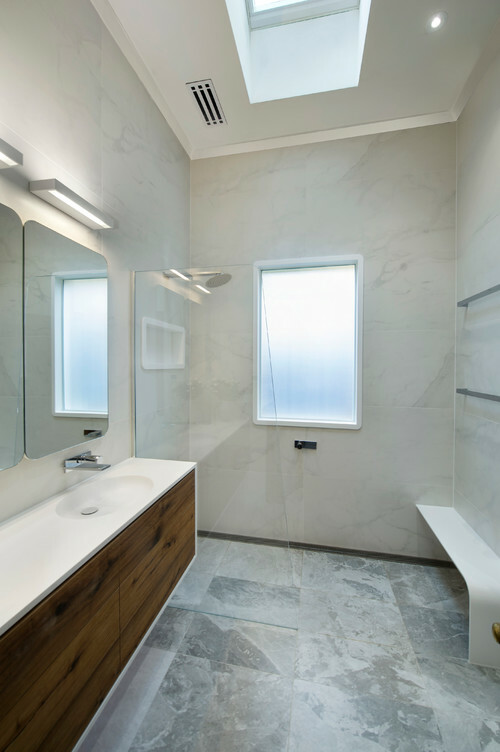 Windows are the most obvious way of getting light into your bathroom. To take advantage of the morning or afternoon sun, select tall and narrow windows that go to the floor to let maximum natural light filter throughout the space. Switch and white translucent windows are the best examples, supporting natural light and privacy at the flick of a switch. 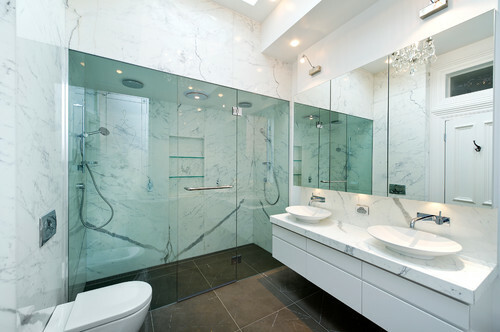 If your bathroom doesn’t have a lot of natural light, you can use mirrors to make the space feel lighter and brighter. As mirrors bounce light around the bathroom, it’s best to place them on the opposite side to windows so it reflects across the room. The key is to position mirrors in a way that they provide functionality as well as better light reflection. It goes without saying that white surfaces such as marble are naturally light and breezy. It doesn’t matter whether you have white tiles, bath, basin or counters, this can reverberate light around a space – making it feel brighter and larger. White bathrooms never go out of fashion, but try to use matt white rather than gloss. Matt white reflects the warmer colour spectrum as opposed to gloss white. This might be just the spark your space needs this summer. Looking for a design feature to really impress your family and friends this summer? How about a skylight in your bathroom? Shower your bathroom with the warm rays of the summer sun and enjoy a lighter environment all day. 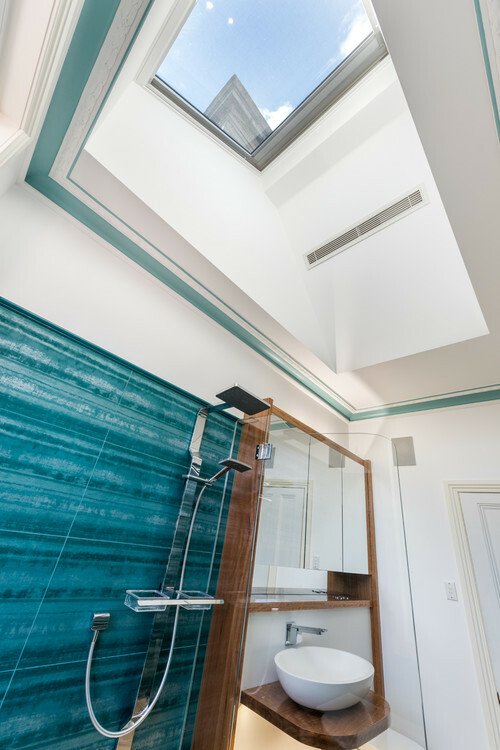 Skylights are now a popular luxury addition to bathroom design – adding a point of difference to the space. In short, walls block light. If you’re someone who loves an out of the box design trend, you’ll appreciate this – an open-plan bathroom/bedroom. A growing trend in luxury hotels, the bathroom and bedroom are essentially one open space, allowing natural light to filter around the room. No matter if you’re reading a book on your bed or enjoying a soak in the bath, the environment is always bright and light. If you would like more information about the ways to make your bathroom light and breezy, get in touch with the expert team at Bubbles Bathrooms today – we look forward to working with you!